Tate Exchange, Liverpool (Supported by Culture Ireland GB18). Create and Heart of Glass with Blaithin Quinn, Rosie Lynch, Eilish Lavelle, Michelle Browne, Emmett Scanlon, Laurence Lord. Please click on the logos below for information about ENGAGING PLACES, April 2018. A training initiative for cultural practitioners with an interest in programming, exploring and sharing the cultural and artistic value of architecture with the public. Partners: The Arts Council of Ireland engaged Create, the national development agency for collaborative arts, to manage the training in tandem with architect, artist and educator Blaithin Quinn. Engagement Team: Blaithin Quinn, Orla Murphy, Jo Anne Butler, Tara Kennedy, Lynn McGrane in collaboration with Ruairi O'Cuiv (Dublin City Council, Public Art Manager) and Helen Beaumont (National Museum, Education and Outreach). The Beyond Pebbledash project consisted of an installation and book by Motti Ruimi and Paul Kearns, and a public engagement programme, all under a central theme of urban living. Beyond Pebbledash aimed to promote conversation on future challenges and opportunities for city centre living in Dublin. The public engagement programme was delivered by an interdisciplinary team: architect - artists Blaithin Quinn, Tara Kennedy, Jo Anne Butler, architect and academic Orla Murphy and education specialist Lynn McGrane. Credits: Photography by Ros Kavanagh; Video documentation by Paddy Cahill. Partners: Dun Laoghaire Rathdown Co.Council Arts Office, John McLaughlin (curator - architect). Engagement Team: Blaithin Quinn, Jo Anne Butler, Tara Kennedy, Peter Tansey, Dominic Stevens, Helen Barry in collaboration with partners / curator. Inter/Generation was an arts programme of architectural themed projects and events held in April 2014, run by Dun Laoghaire Rathdown Co.Council and curated by architect John McLaughlin. The programme consisted of workshops, installations, film screenings, conversations and a multi-generational neighbourhood project. As part of this programme, an ‘expanded practice’ weekend of workshops entitled Demense Change explored the intersection between architecture and the visual arts. Demense Change was led by architect - artists Blaithin Quinn, Jo Anne Butler and Tara Kennedy and architects Dominic Stevens and Peter Tansey. Blaithin Quinn also collaborated with artist Helen Barry to design and deliver a workshop series for young people and to create an installation. Shaping Space was a project by Red Bird Youth Collective in collaboration with artist and architect Blaithin Quinn, held at Galway Arts Centre in spring 2013. The project, which utilised visual art strategies (studio-based practice and outcomes) to explore architecture as a discipline, consisted of two parts: a structured workshop series and a site-specific exhibition. Part 1: Workshops: Each of seven weekly workshops had a specific theme and focus ranging from ‘mapping’ to ‘spatial stories’. On a walk in Galway City’s West End, each participant discovered an aspect of the everyday architecture that inspired them. This informed individual and collective responses to the built environment which were then developed and explored through a range of media during the workshops, a space where experimentation and peer critique was encouraged. Part 2: Exhibition: For the site-specific, public exhibition in March 2013, the eleven participants presented artworks that were directly informed by the architecture of Galway City’s West End. The works included a sound piece evoking the ambient sounds of the area, an interactive game about local architecture and documentation of an outdoor living room in a car park, all installed in response to the architecture of the exhibition space, Nun’s Island Theatre. Red Bird Youth Collective was founded in 2011 by Galway Arts Centre to encourage and support creativity for young people (aged 16-24) living in Galway City and County. Shaping Space was focused on involving the youth collective in the shaping of space and giving them a voice with regard to how the city could be used by young people. A series of workshops for artists and architects by Blaithin Quinn, exploring the relationship between space and capitalism, with David Harvey's essay Globalization and the 'Spatial Fix' (2001) as a starting point. A cast lead time capsule for University College Dublin's School of Architecture centenary exhibition 'We had an idea about the future'. An international exhibition of contemporary art, curated by artist Maggie Magee, including 'Paperwork' by Blaithin Quinn. Other artists included Ellen Rothenberg and Yoko Ono. An artwork commissioned by Dun Laoghaire Rathdown Co.Council, about Dundrum as a place. An art and architecture programme for primary school students, devised by Blaithin Quinn and supported by an arts grant from Dun Laoghaire Rathdown Co.Council, Dublin. May 2010 - "Recharge is an active investigation into the potential of unrealised, postponed and utopian architectural projects. With sites located in Poland, England and Ireland, the recently assembled Unbuilt Archive includes an international competition entry, a fictional cloud room and an alternative proposal for a commercial urban site. Recharge challenges the normally static nature of an archive by opening it up as a set of instructions and inviting artists’ responses in a workshop context." 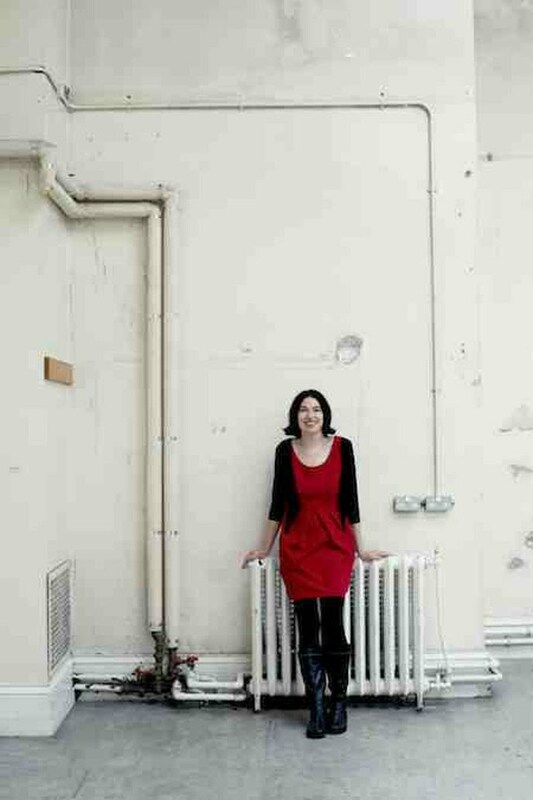 TransColonia, an independent artist and architect run initiative, was established by Blaithin Quinn in March 2010. Initiated as an artistic response to the current recession, TransColonia was part of a growing international trend to re-purpose vacant commercial space for creative uses. An interdisciplinary group of creatives including artists, architects and designers have contributed to the Transcolonia initiative, collaborating with Quinn. TransColonia was a winner of the Royal Institute of Architects in Ireland's 3twenty10 research competition, with Paul Quinn as a collaborator. Latent is an online archive of unfinished, unrealised and forgotten fragments of ideas for artworks, curated by Blaithin Quinn. Blaithin Quinn (BSc, BArch, BA, MA) is an architect and visual artist based in Ireland. After graduating as an architect (University College Dublin, 1995) she worked in private practice (1995 - 2010) while completing a first class honours degree in Visual Arts Practice (Institute of Art, Design and Technology, Dublin, 2010) and later a Masters in Visual Arts Education (National College of Art & Design, 2013), both by night. This has informed her approach to practice, which is collaborative, interdisciplinary and site-specific. As an active practitioner in the area of public engagement with architecture, Quinn was a key contributor to the following collaborative projects (supported by The Arts Council of Ireland’s Engaging with Architecture Scheme): Beyond Eye Level (South Dublin Co.Council, 2012); Shaping Space (Galway Arts Centre & Red Bird Youth Collective, 2013); Inter/Generation (Dun Laoghaire Rathdown Co. Council, 2014) and Beyond Pebbledash (Dublin City Council, National Museum, 2014/15). Recent work includes Extending Architecture (2016) with Create and the Arts Council of Ireland. In her work Quinn employs visual art strategies (studio based practice and outcomes) to extend public engagement with architecture as an artform. Quinn’s work has also been commissioned by the Irish Museum of Modern Art (Open House, 2012, 2014) and the Irish Architecture Foundation (Architects in Schools Initiative 2015, 2016, 2017, 2018). In parallel with her own creative practice, she teaches architecture at Queen’s University Belfast (2012-2018) and is a visiting lecturer at Cork Centre for Architectural Education. She was a visiting lecturer at the Institute of Art, Design and Technology, Dublin (2015). Dissemination is integral to her practice and she regularly speaks about her work at events including an Irish Design colloquium at the National College of Art and Design (2015), the All Ireland Architecture Research Group (AIARG) conferences (2012, 2013, 2014, 2015, 2016, 2017) and the 10th International Architectural Humanities Research Association (AHRA) in the UK (2013). Quinn’s funding awards include an Arts Council ‘Architecture Bursary’ (2015), an Arts Council ‘Travel and Training Award in Architecture’ (2013) and a Royal Institute of Architects of Ireland research bursary (Winner, 3twenty10 Research Competition, 2010).